Keeping mom safe is my number one responsibility. It comes before anything else, even the purchasing of the blueberry Poptarts that my mother claims keep her alive. I’ve been thinking a lot about home safety lately as we start to baby-proof the house for the “Daring Duo” who have begun to toddle all over every chance they get. Things like locks for the cabinet doors and covers for all of the plugs are things you do for children to keep them safe at that vulnerable age when they can’t yet take care of themselves. How, though, do you protect a grown adult who no longer has the judgment to differentiate between danger and doing for themselves? I did some checking and found a great article on SeniorAdvice.com called appropriately enough “How To Make A House Safe For Seniors”. They had some terrific ideas and easy fixes that can be implemented immediately. The one thing I have done regarding mom’s safety is to stop leaving her alone at all. Wherever we go she goes unless there is someone available to stay with her. We had never experienced an emergency with her being alone, but why wait for something bad to happen. The best way to protect someone in an accident is to prevent it from happening in the first place. Clutter is a big safety issue. Things lying about on the floor or piled up around furniture is an accident waiting to happen. My husband and I are both extremely OCD so we haven’t had to deal with that issue except in mom’s room. I worry because it’s a small room with a lot of big furniture. It would be easy to trip over something and take a bad fall. I try to walk through at least twice a day looking for tripping hazards. One of the symptoms of Alzheimer’s is the shuffling of the feet and trying to maneuver around on slippery rugs is way too dangerous. We’ve done away with the small decorative rugs and gotten heavier area rugs that stay in one place better. Because of my disability, my left leg drags just a little, and I have taken some pretty bad spills when a rug has either gone flying out from under me or I have tripped over the edge. Better to just get rid of them. Another way we are trying to be proactive is by installing grab bars in all of the showers and having skid proof rugs when stepping out. It’s easy for anyone to slip in a wet bathtub and having something to grab onto could be a lifesaver. Taking these kinds of small steps to prevent accidents in your home will benefit everyone. After reading the article, there are still a few things that I want to add, but so far so good. By making these changes while I’m house-proofing for the twins it will not cause mom to feel “less than” like she might if she were to think we were doing it just because of her. Emotional protection is sometimes just as important as physical protection. I know one day that I will have to add more drastic safety measures. Things like door alarms and security systems. I’m not sure what will come up down the road. I just hope that both she and I are ready for them. *This is a compensated post, but all ideas and words are completely my own! « I NEED A HERO! DO YOU? So much to consider to make your house safe. Get advice, Rena! your expertise here is invaluable. We had to hide Dad’s meds because he would take them 10 times a day thinking he hadn’t taken them. Just when you think you have everything covered…. I understand what you mean, mom thinks if you miss a dose you can take them all at once to catch up. Yes it is best to prevent accidents all around! Every time I think you’ve thought of everything for optimal health and safety of an Alzheimer’s sufferer, you think of more. Your love for your mom shows in everything you do. Thank you so much Karen, Your support is always greatly appreciated! Great tips and what a great excuse for her dignity, is it is for the twins! You make travelling this road with you such a sweet, but practical experience. I know the strain you feel with trying to keep the older (and the younger) generation safe and happy must be huge. But you do it with a smile and an “I love you, Momma!” Thank you for your invaluable insights and suggestions! I’ve learned a lot about this subject once my dad had his catastrophic stroke back in 2000. Grab bars, shower seats, no rugs, sparse furniture, a bed and chairs with push-button controls to help him stand and sit (extremely cool yet expensive) and he always has an aide or my mom with him. But mom will be 85 and after 16 years of being a caregiver it’s starting to cause her own physical ailments. Anyway, great and important post, Rena. Thank you. You are such a good caregiver – and grandma – Rena! These are some excellent suggestions and I am sharing this article as I know many people will benefit from it. SusanF – ofeverymoment recently posted…April 7th is No Housework Day! Another one of those subjects that you don’t even think about in the beginning. We finally had to get a monitoring bracelet for my mother in law. She was the last person we thought would roam away, but once they found her in the parking lot trying to get into cars, all bets were off. Great reminder, Rena! Both of my parents are gone but I’ve started to think about safety for us as we grow older. Even in your 60’s it’s easy to fall or twist an ankle and that can make you immobile for long periods of time. Clutter is certainly a factor. Small dogs too although I won’t give them up. They love to get under our feet. My mother had dementia. I can’t imagine safety-proofing your house to care for her. They are a lot like children in that you have to always keep an eye on them. I would often talk to mother’s caregivers about how they managed to lovingly care for 20 people, day after day. They were mother’s–and my–angels. This is great advice. Before my parents moved to independent living they installed bars in their showers as well as shower seats (sometimes an older person can get dizzy). I recently changed rugs and got one that is heavier and doesn’t move for the bathroom. I remember those days all too well. Thank you for this list. Is there anything out there that helps someone get into and out of a car? That is getting more and more difficult for my father. Not that I know of at the moment but I will definitely look into it. It is important to keep our home safe not only for ourselves but for the whole family as well, including our parents and elders who live with us. We cannot leave any members of the family unsafe in the house even if they have nanny or care givers taking care of them. We still have to make sure about their safety We can install safety alarms, CCTV camera. and other things that can make them safe. Very true, safety is the most important thing. This article is a good read. I love all your suggestion and for sure many readers will benefit from this article. I do feel that elderly not only behave like kids but they need extra care during their old age. 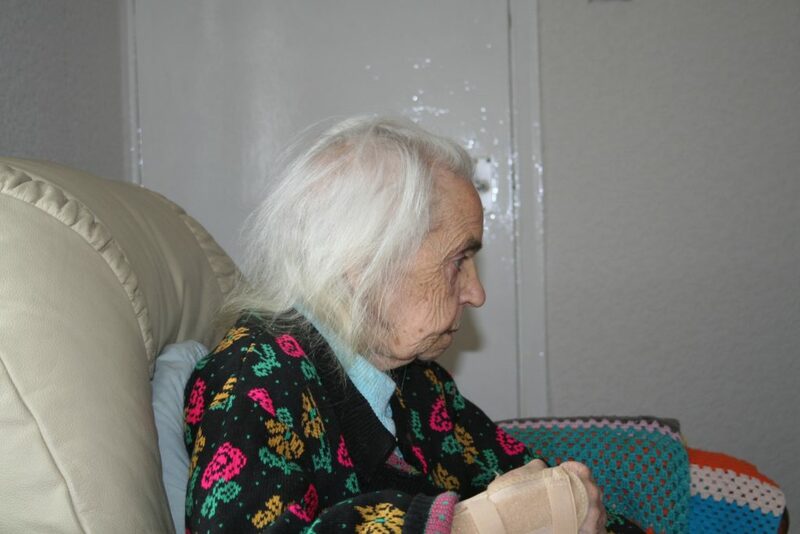 Care giving homes can’t give all the love that children offer to their aged parents. Children’s must come up with new ways to make their parents happy and secure. It’s so important that we take good care of our elders. They’re not that strong anymore. As I’ve said to the other bloggers that make your house a child friendly and it will benefit your elders too.